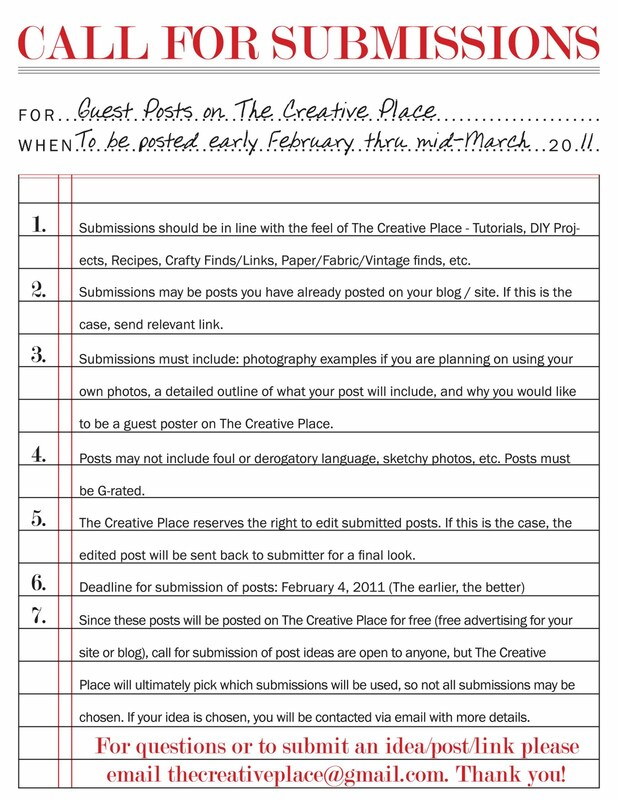 As I have mentioned before, I am having a Call for Submissions of Guest Posts on The Creative Place. 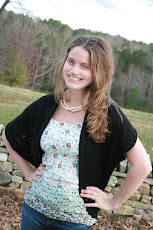 These posts will be scheduled to post throughout February and March while I am on maternity leave. I will continue to post here and there, and hope to be fully back to blogging by Mid-Late March. I am excited to have this Call for Submissions and hope to hear from a lot of you out in blog land. 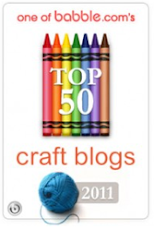 I love to see others creativity, ideas and finds and am eager to share that with readers of The Creative Place. Below are some guidelines and info for submissions. I hate to sound all formal and business-y but my hopes are to be clear about the guidelines and what is expected for a potential guest-poster and for myself. Please do not hesitate to contact me with any questions you may have - about an idea, etc. Or to let me know if I've missed outlining some pertinent info. here. I will add pertinent info. here if necessary.